This entry was posted in Medical information and Research Data, Pregnancy and birth, RESEARCH, STUDIES, DOCUMENTATION, Vaccine Injection Room and tagged aluminum, Journal Inorganic on January 29, 2018 by Editor. This entry was posted in COOL VIDEOS in Sports, Recreation,Technology, Art, Comedy &Inspirational and tagged cave on January 28, 2018 by Editor. VLA COMMENT-CD RE: FLUORIDE: There may be a miniscule amount of natural fluoride that exists in the soils and is released just like other minerals. I wonder FLUORIDE being less toxic in its natural state than the much more reactive state that is in the fluoride compounds added to water. I have only seen positive effects from people drinking Fiji water – the benefits of getting rid of the aluminum are so great, and I see it as a time/toxicity equation. That a 3-6 month intensive course of Fiji water to lower the body burden of aluminum is of such benefit, that it does not need to be consumed forever to reap benefits, and there are other likely ways to protect against any miniscule fluoride exposure (like taking vitamin c and other antioxidants) that it is worth consuming it if aluminum toxicity is suspected. Our studies show that ALL people with a level of greater than 1mcg/g of dry brain weight have pathology that is associated with Alzheimer’s, or autism (depending on the age) and no brains examined with these levels were healthy. All healthy brains had less than 1 mcg of aluminum per gram of dry brain weight. 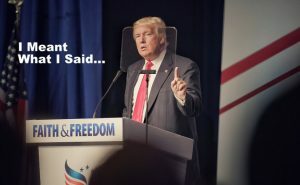 It is not debatable anymore. In addition, people with the aggressive form of MS excreted far more aluminum in their urine than healthy people, and when their aluminum body burden was reduced by drinking silica rich mineral water, they did not have any progression of their disease. The study was not designed to measure improvement in their condition, but we would have likely seen improvement if the study was designed with that outcome. A facebook group has formed called Fiji Water Detox and Epilepsy support Group and parents are reporting that their children are stopping or drastically reducing the number of seizures per day when consuming Fiji water (sometimes the kids had hundreds of seizures a day which stopped overnight when they started drinking Fiji). The benefits far outweigh any risks, and getting the aluminum out should be the highest priority for anyone dealing with a chronic, complex, inflammatory health problem. This entry was posted in Fluoride Poison, Healing & Recovery Room and tagged aluminum, Fiji water, silica on January 24, 2018 by Editor. 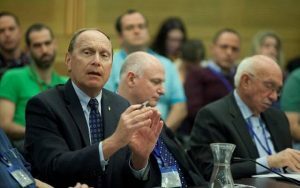 The Jerusalem Post recently reported that Prof. Leonid Eidelman, chairman of the Israel Medical Association and the next president of the World Medical Association, opposes mandatory flu vaccinations for doctors, and he opposes identifying which doctors have been vaccinated for the flu, and which ones have not. VLA COMMENT: As good as this sounds…notice he is opposing the vaccine for Doctors…but not for patients…but I think people will get the implications that if Doctors and Nurses don’t want it…people won’t want it. This entry was posted in Doctors Speak Out, Liberty & Freedom Room, Medical information and Research Data, Pregnancy and birth, RESEARCH, STUDIES, DOCUMENTATION, Vaccine Injection Room and tagged Flu shot hoax, ISRAEL on January 20, 2018 by Editor. Subjects with newly diagnosed AN were more likely than controls to have had any vaccination in the previous 3 months [hazard ratio (HR) 1.80, 95% confidence interval 1.21-2.68]. Influenza vaccinations during the prior 3, 6, and 12 months were also associated with incident diagnoses of AN, OCD, and an anxiety disorder. Several other associations were also significant with HRs greater than 1.40 (hepatitis A with OCD and AN; hepatitis B with AN; and meningitis with AN and chronic tic disorder). This entry was posted in Medical information and Research Data, Pregnancy and birth, RESEARCH, STUDIES, DOCUMENTATION, Vaccine Injection Room and tagged Neurological disorders on January 13, 2018 by Editor. 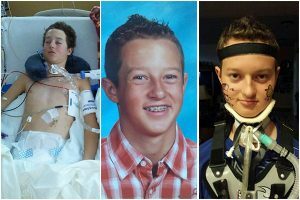 A few years ago he received the HPV vaccination which would change his life forever. He was hospitalized for months and received constant therapy to help him in recovery. He had to learn how to walk again and also to do daily tasks differently as he never regained full function of his lungs, neck, and right arm. He had very limited use of his left arm and was attached to a ventalation machine through trachia to receive his daily breath. This entry was posted in Personal Stories Vaccine Injuries, Pregnancy and birth, Vaccine Injection Room on January 13, 2018 by Editor. The panel consensus is that virtually all youngsters receive the HPV vaccine. The CDC and American Cancer Society say that there will be 12,000 cervical cancers diagnosed in the United States each year, among a population of 170 million women. The chances of my daughter being diagnosed in any given year are 12,000 out of 170 million, which works out to .007 percent. The odds of her not being diagnosed in any given year, by the same math, is 99.9929 percent. Accordingly, the blanket claim that the vaccine has no serious adverse effects should be carefully revisited.ed 10 years later, were actually more likely to be infected with high risk, low risk, and all strains of HPV. 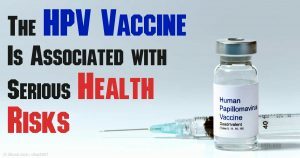 The four vaccine strains were reduced- but other, possibly more pathogenic, HPV viruses moved in to fill the void. and 362 deaths have been reported. VLA Comment: It is well known that the VAERS reporting is at a 1% level. Dr. Paul G. King discovered in his research on the flu vaccine concerning a CDC spontaneous abortion study that reported that there were approx. 900 fetal demise reported by Kaiser Permanente covering only the Northern California area. Dr. King compared that to the VAERS reporting which is required by law that the physicians report the associated vaccine adverse reaction. He found no reports to VAERS for the same time period. Can one conclude that if there were 900 reports (in No. California alone) that was not reported to VAERS that the 54,105 adverse reaction reports to VAERS are greatly underestimated? This entry was posted in Gardasil HPV Vaccine, Pregnancy and birth, Vaccine Injection Room, You are being poisoned and tagged Gazette, hpv on January 13, 2018 by Editor.